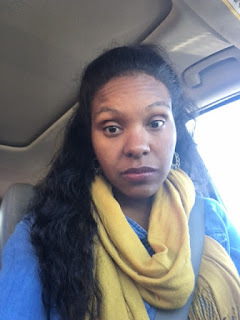 The Domestic Naturalista: Hair Update!!! 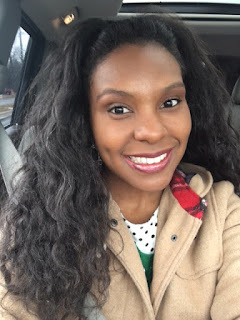 I never thought I would share news like this, but I really believe my hair is mad at me!! I have to be honest and say that I have fallen off the bandwagon and didn't give my hair the TLC it really needed. I still managed to keep it moisturized with no heat, but hair not only needs to be moisturized daily, but also needs a deep treatment regularly in order to see great results. I straightened my hair in November and I almost wanted to cry. I can see a difference compared to how it normally looks when straightened. I'm not going to let it get me down, but it reminded me that it's important to maintain length versus growing it. If you can maintain length, the growth will come. With that being said, it's time to get serious about my hair and start back loving my hair and giving it the care it needs. 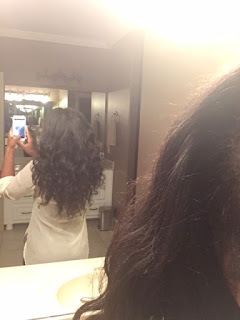 Here's a list of things I will do to get my hair back on track! First things first and that is washing and deep conditioning the hair once a week. I would never miss a week washing and deep conditioning my hair, and I saw awesome results! Hair was a month in a half old and reverting back.